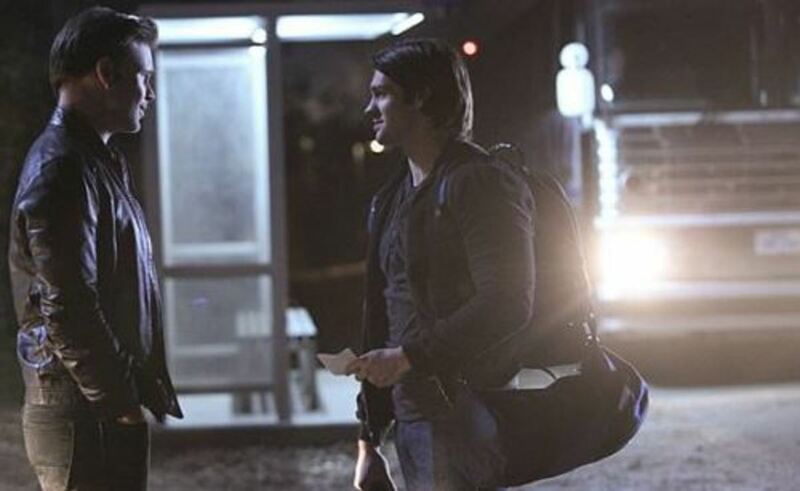 Two characters departed Mystic Falls on Thursday night&apos;s installment of The Vampire Diaries. Jeremy Gilbert (Steven R. McQueen) left Mystic Falls to become a full-time vampire hunter, while Liz (Marguerite MacIntyre) died of cancer. I caught up with McQueen, executive producer Julie Plec and showrunner Caroline Dries at a press screening held by The CW. 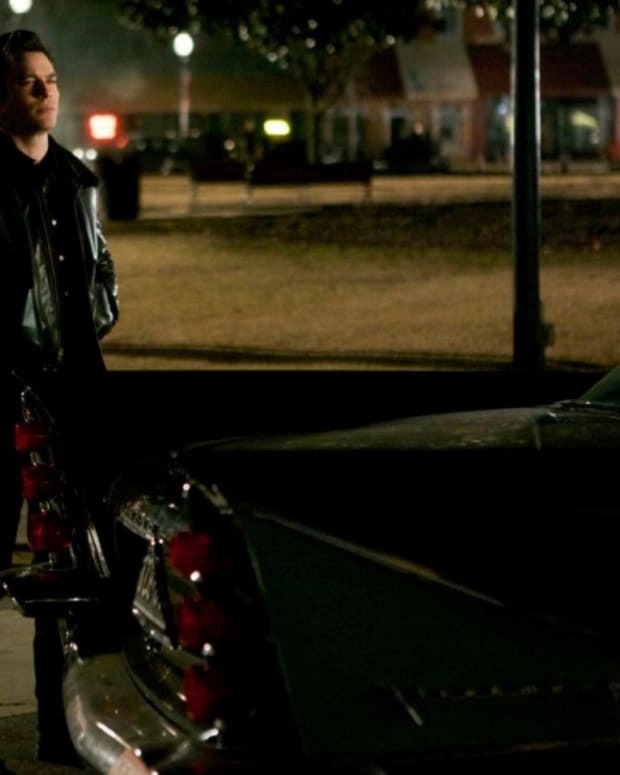 In addition to two major exits, Stefan (Paul Wesley) and Caroline (Candice Accola) finally kissed and Enzo (Michael Malarky) ran Matt (Zack Roerig) down with his car in the game-changing episode. Speaking of cars, the crash that killed the Gilbert parents was revealed to be just an accident. I got the scoop on why Jeremy left before Bonnie returned, Liz&apos;s death and what&apos;s coming up the rest of the season. Read on! Jeremy lied to everyone but Alaric (Matt Davis) that he was leaving town to go to art school. Said McQueen, "It was draw or kill stuff. I’d rather kill some stuff." Jeremy died and was resurrected several times during the course of his six seasons on the show, which was why the supernatural soap opted to have him depart alive and well this time around. 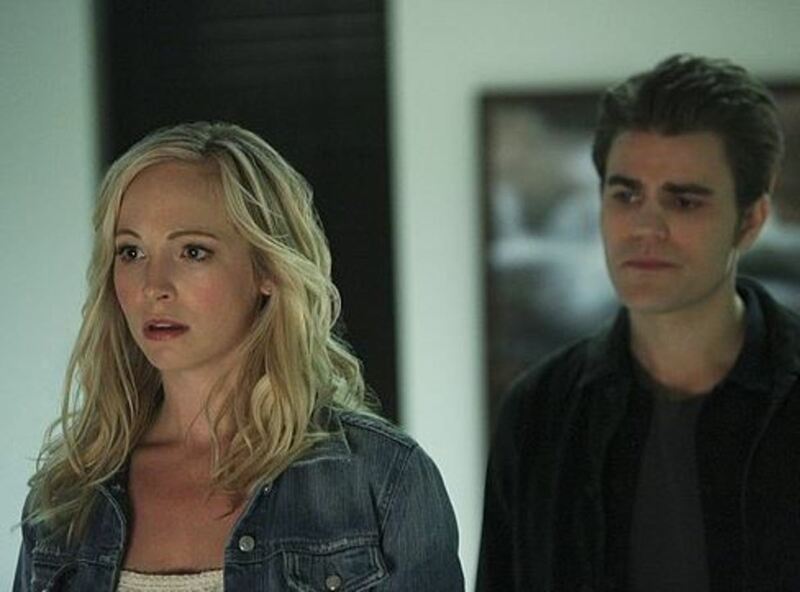 Said Dries, "Julie [Plec&apos;s] whole thing was kind of like look, Jeremy’s died a few times and so we just really wanted it to feel special but official too, like we mean it this time..." Plec added, "Our decision to say goodbye to Jeremy in the middle of the season was born out of really wanting to feel like his character made a strong decision in spite of his circumstance." 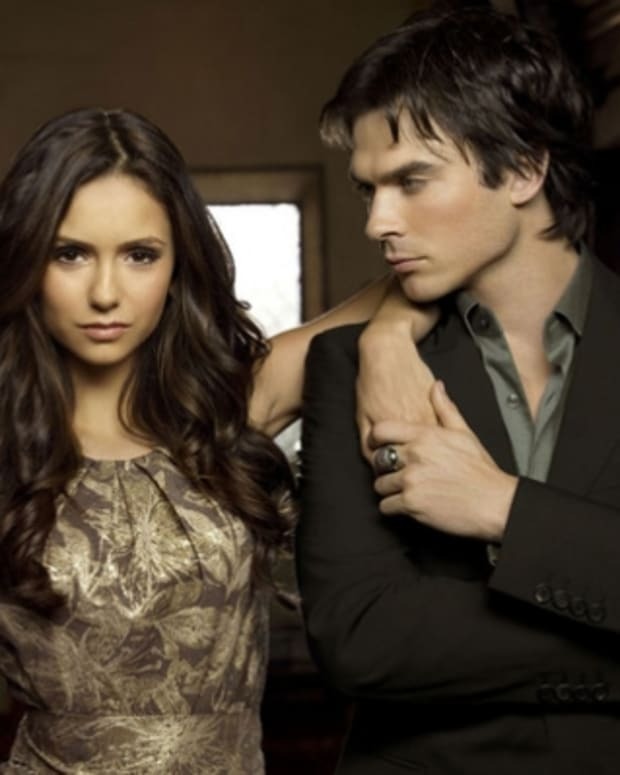 Some fans may be disappointed Jeremy didn&apos;t reunite with his true love Bonnie (Kat Graham) before he left town. Plec explained, "It couldn’t really line up with Bonnie’s journey, because her journey right now is never ending. We don’t know when she’ll be back, or what will become of her. 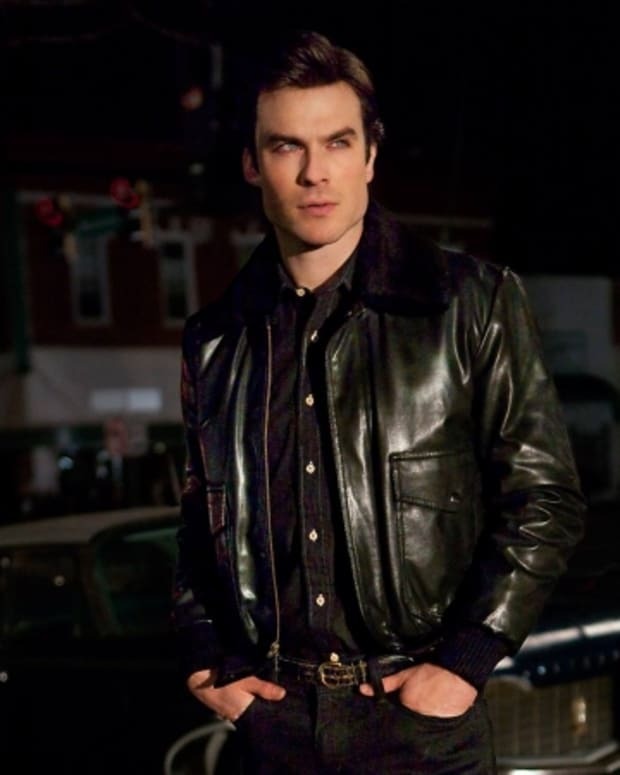 So he really needed to make decisions for himself mostly because of Bonnie, with her being the final straw." Plec teased Liz&apos;s death leaves a vacancy in the sheriff&apos;s department that will not be filled until Season Seven. Will Caroline find Romance in Grief? Stefan and Caroline&apos;s lip-lock was a long time coming. He anointed himself boyfriend material by not only kissing Caroline&apos;s pain away but by helping her use her powers to communicate with her mother one last time before she died. 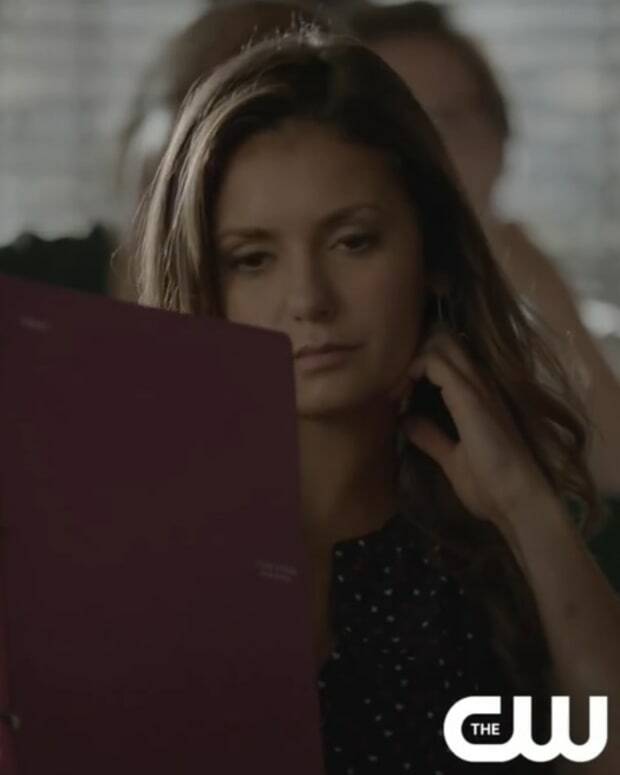 However, the grieving Caroline may not be in the mood for love. Said Plec, "That’s the thing with the first conversation you have after your first kiss and right now something pretty dramatic has happened and so really the next episode is all about judging where and when and how that first conversation is going to go." Enzo (‎Michael Malarkey) put his plan to wreck Sarah (Tristin Mays) life into motion. He may have underestimated the long-lost Salvatore. Plec revealed, "It’s actually surprising what’s next for her. Enzo of course has this whole master plan that you can say is smart or dumb, depending on where you stand on it, but she’s going to throw him for a little bit of a loop when they finally come fact-to-face again and reacts to the fact that he’s of some supernatural origin."